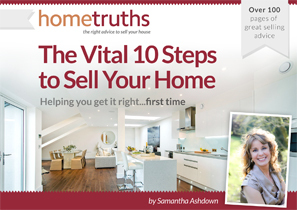 If you’re selling your home and have children, have you considered their impact on your home viewings? As much as you love your little ones, there are a few things you need to consider when selling up. Noise and clamour. If there are people over viewing your home, the last thing they want is to be interrupted by screaming children. Yes, children make noise, but it will dampen a home viewing and could leave viewers feeling negative. Ideally get the children babysat during viewing times, or have your partner take them out. Toys and clutter. No one likes to see clutter during a home viewing. Your home might be lovely and tidy in the majority of the space, but with piles of toys elsewhere mid-use, and Lego pieces lying around to get caught under shoes, it can make a space look smaller. Lifestyle. We’ve talked about it before; buyers are buying into a home’s lifestyle. If your viewers are a couple with children, they might appreciate a child centred home. People without however, can sometimes lack the imagination needed to see past the Batman duvet and picture their private study. Try to make any children’s spaces as tidy and neat as possible, and put the toys in a wardrobe to have a clear floor. Pink. Magnolia sells, deep pink walls don’t. Explain to your little ones that you’ll paint their new bedroom pink/with Superman wallpaper in the new house, but for now the walls need to be painted for the new buyers. Your house well sell quicker.